Ecuadorian Goat Milk – Hangover Cure!? 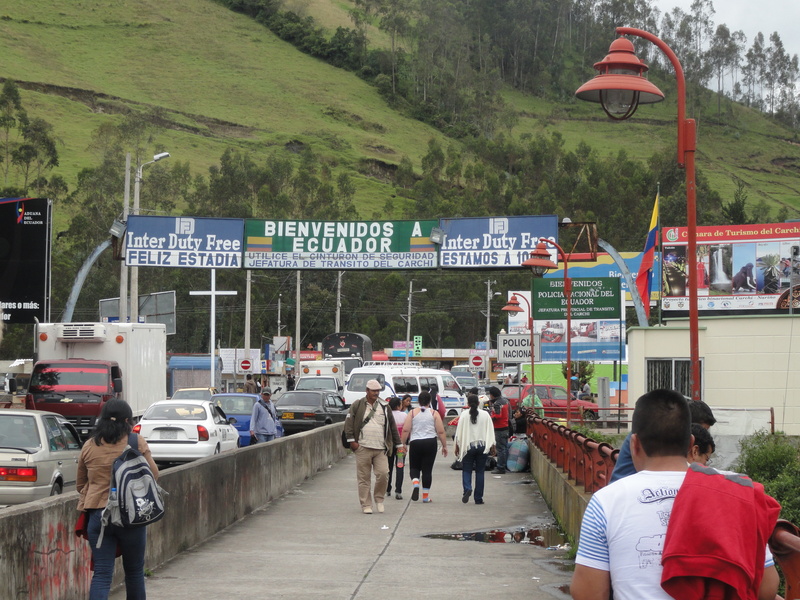 Ibarra, Ecuador is the first midsize town we came across after our nerve-racking border crossing from Colombia. We only planned on staying a night to break up the trip to Quito, but the good, cheap food and laid-back vibes caused us to stay until the weekend. Friday night rolled about and having seen a number of interesting watering holes for consuming drinks we decided to give Ecuadorian night-life a try. Beginning with a bottle of Colombian Rum and some College drinking games we found ourselves out on the street asking young locals for good spots to go drinking, dancing and hopefully chatting with some pretty Ecuadorian chicas. After clearing up some brief confusion with a local student who was trying to point us in the direction of a brothel rather than a local bar we found ourselves in a nice little club called Tsunamis. With our stomachs filled to the brim with liquid courage we approached the first two pretty Ecuadorian chicks by the bar and had a fun night of dancing and trying to chat them up in Spanish. Bleary-eyed with a dry feeling in my brain I awoke the next morning to the realization that checkout time was soon, I still needed to pack my stuff up and I was soon about to sit in a bumpy bus to one of the largest markets in South America. With a bad hangover, heavy backpack and sweating profusely I made my way to the bus station in search of anything that would cure my terrible hangover. I stumbled upon some goats near a railroad who I thought might be able to help me. Could my stomach handle the goats gift – watch this video and find out. This entry was posted in Ecuador and tagged Ecuador, Ecuador Nightlife, Ecuador women, Goat Milk, Ibarra, South America, Travel, Travel Hangover by verenico. Bookmark the permalink.